Ihr habt CAP an Befehlshaber und Streitermarken erreicht? schmeißt die nicht weg! Ab 1.2. wird es möglich sein die gegen Creditkisten bzw. gegen die neuen PvP Mats einzutauschen. Befehlshabermarken kann man zu Creditkisten tauschen die im Schnitt 1500 Credits bringen aka ergibt sich bei 100 Befehlshaber marken 150.000 Credits für eure Kasse. 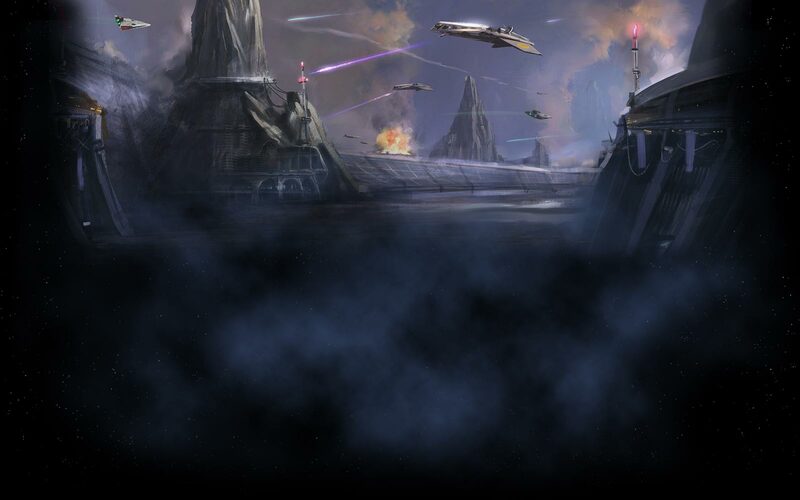 When you open a tab you will see all four basic classes – Imperial Agent, Bounty Hunter, Sith Inquisitor, and Sith Warrior for the Imperial classes tab, mirror classes for the Republic classes. You will notice there are 3 icons at the top and 5 icons at the bottom for each class. Lets start with the first 3 icons for each class. Icon 1: Unlocked when you complete chapter 2 of class quest, unlocks the usage of a class specific emote. Icon 2: Unlocked when you complete chapter 2 of class quest, unlocks the usage of class buffs. Does not stack with class buffs from the mirror class. This buff will be applied to all party/operation members. Icon 3: Unlocks the heroic ability. This ability has a 10 minute CD and is only useable when heroic moment ability is up (every 20 minutes). Heroic ability: Grants use of Legacy Orbital Strike. Heroic ability: Grants use of Legacy Force Sweep. Lets now jump to the 5 bottom icons! These icons are for each of your 5 companions! You can unlock lock each one of them by completing all conversations and quests for that companion. First companion to be unlocked of a specific type (melee rank, healer, melee damage, ranged tank, ranged damage) will grant a bonus to a stat and increase the duration of your heroic moment by 12 seconds and reduce the cooldown by 1 minute. Unlocking further companions of the same type will grant a +10 presence bonus on all your legacy characters instead. In case your are wondering, you have 5 companions and they each belong to a specific type. For example - Inquisitors: Xalek is a ranged tank, Khem is a melee tank, Ashara is a melee damage, Andronikos is a ranged damage, and Talos is healer. Welcome to the species tab! You will be greeted with this screen when you first open it. There are 9 species to be unlocked! Once unlocked you can use them to create any class you wish. You can either unlock them via leveling an allowed class to 50 using that race or purchasing it for 1.5 million credits (requires legacy level 5). Humans cost only 500k (Humans are cheap!). This is the final tab under Global Unlocks. A lot of the abilities you can either unlock it if you have the appropriate requirement or you can purchase it. The purchase route requires a certain legacy level requirement as well. Legacy of Sacrifice: Requires level 50 & Dark V to unlock or purchase it for 250 k credits (requires legacy level 10). Sacrifice injuries your companion to instantly heal yourself. Legacy of Unity: Requires level 50 & Light V to unlock or purchase it for 250 k credits (requires legacy level 10). Unity reduces damage taken by you and your companion for a short duration. Legacy of Equilibrium: Requires level 50 & Neutral to unlock or purchase it for 250 k credits (requires legacy level 10). Equilibrium increase damage and healing done by you and your companion for a short duration. Legacy fleet pass I: Purchase it for 100 k credits (req. legacy level 5). Reduce cooldown of Emergency fleet pass for 1 hr. Effect cumulative with other cooldown reduction unlocks. Legacy fleet pass II: Purchase it for 200 k credits (req. legacy level 10). Reduce cooldown of Emergency fleet pass for 2 hr. Effect cumulative with other cooldown reduction unlocks. Legacy fleet pass III: Purchase it for 300 k credits (req. legacy level 15). Reduce cooldown of Emergency fleet pass for 3 hr. Effect cumulative with other cooldown reduction unlocks. Legacy Travel I:Purchase it for 100 k credits (req. legacy level 5). Reduce cooldown of Quick travel by 1 minute. Effect cumulative with other cooldown reduction unlocks. Legacy Travel II: Purchase it for 200 k credits (req. legacy level 10). Reduce cooldown of Quick travel by 2 minute. Effect cumulative with other cooldown reduction unlocks. Legacy Travel III: Purchase it for 300 k credits (req. legacy level 15). Reduce cooldown of Quick travel by 3 minute. Effect cumulative with other cooldown reduction unlocks. Rocket Boost. Purchase it for 2 million credits (req legacy level . This rocket boost provide a brief, intense burst of speed for a short duration. Improved Rocket Boost I: Purchase it for 1 million credits (req legacy level 10). Decrease cooldown of Rocket Boost by 30 seconds. Improved Rocket Boost II: Purchase it for 1.5 million credits (req legacy level 12). Decrease cooldown of Rocket Boost by 60 seconds. Repair droid:Purchase it for 1 million credits (req legacy level 7). Buy items, repair gear, and sell unique modifications for your protocol droid. Ship Mailbox: Purchase it for 500 k credits (req legacy level 10). Unlock a mailbox on all characters’ ships. Operation training dummy: Purchase it for 500k (req legacy level 10). Unlock a training dummy that simulates combat with an operations toughness enemy. Warzone training dummy: Purchase it for 500k (req legacy level 10). Unlock a training dummy that stimulates combat with another player. Galactic Market Kiosk: Purchase it for 5 million (req legacy level 25). Unlock a neutral Galactic Trade Network Terminal. Punch:Requires valor rank 5 or purchase it for x credits (requires legacy level 5). Basic unarmed attack that does 301-310 damage. Jab: Requires valor rank 10 or purchase it for x credits (requires legacy level . Higher damage advanced unarmed attack that does 379-395 damage to the target with 25% chance to leave your winded, preventing you from throwing other punches for 4 seconds. Uppercut: Requires valor rank 15 or purchase it for x credits (requires legacy level 10). Advanced unarmed attack that does 256 – 289 damage to the target. Uppercut has a 25% chance to knock the target back and put the target’s unarmed combat abilities on cooldown. Bash: Requires valor rank 25 or purchase it for x credits (requirs legacy level 15). A savage unarmed attack that can only be used while your opponent is under 25% health. Companion Dance: Requires Social II to unlock or purchase it for x credits (requires legacy level 3). Allows you and your companion to dance together. Tool emotes: Requires Social VI to unlock or purchase it for 100k credits (requires legacy 12). Unlock the use of /scanned, /scangreen, /binoculars, and /weld emotes. Double Lasers Emote: Requires Social X to unlock or purchase it for 150 k credits (requires legacy level 15). Unlock the use of /doublelasers emote. Thema: Re: Änderungen in 1.2.